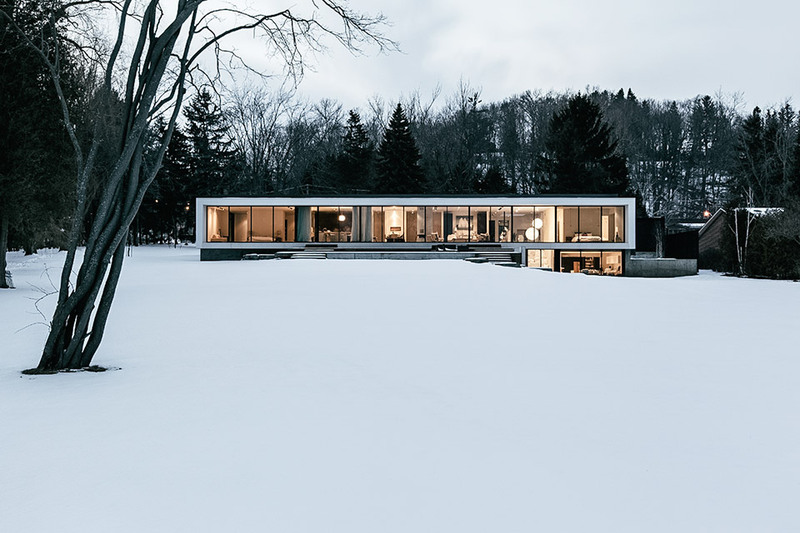 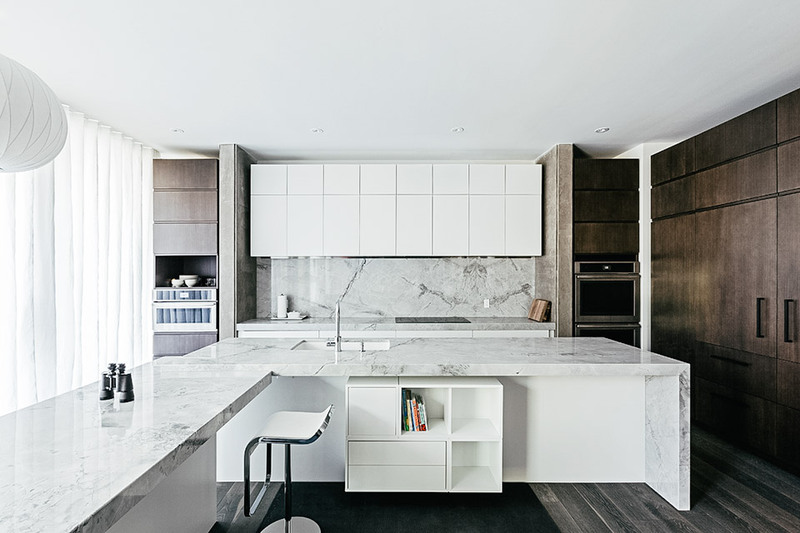 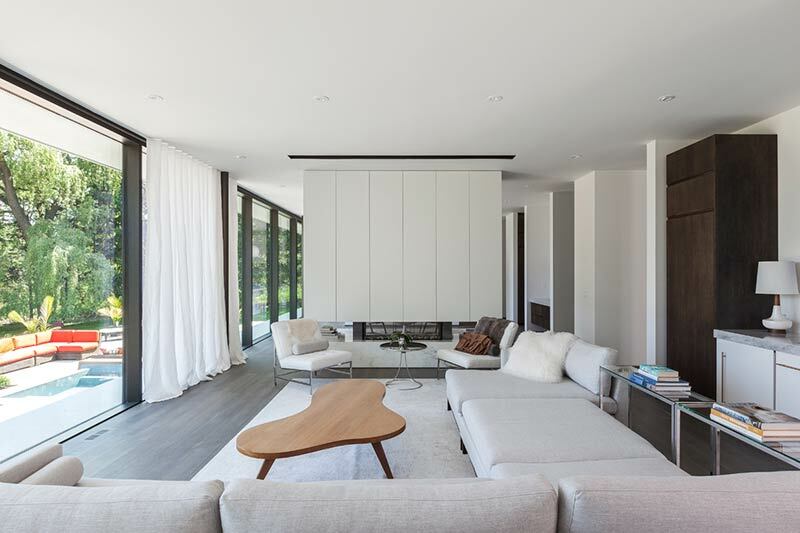 [ #inspiration #Architects ]Situated on a quiet street on the Scarborough Bluffs near Toronto, Opposite House gets its name from its unique design. 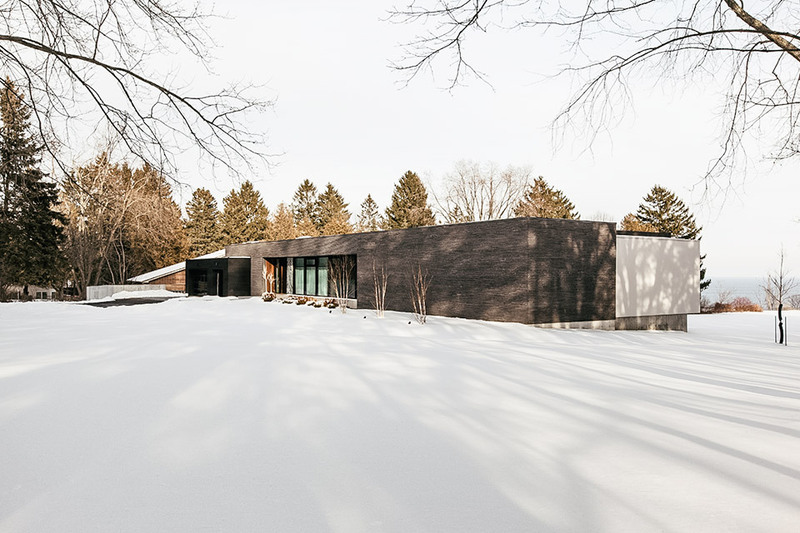 Facing the street is a 146-foot dark black brick form that mostly obscures the rooms within, while a glass and white stucco expanse faces the enormous backyard and Lake Ontario beyond. 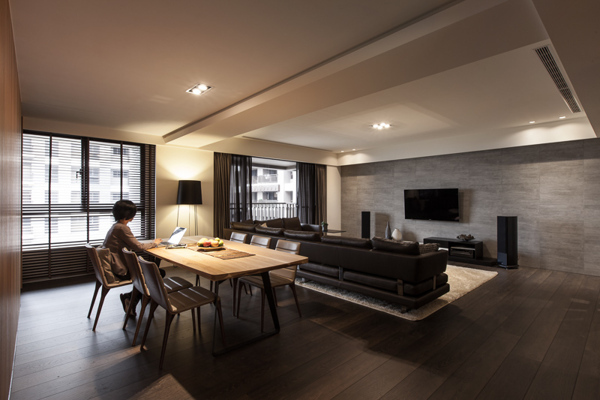 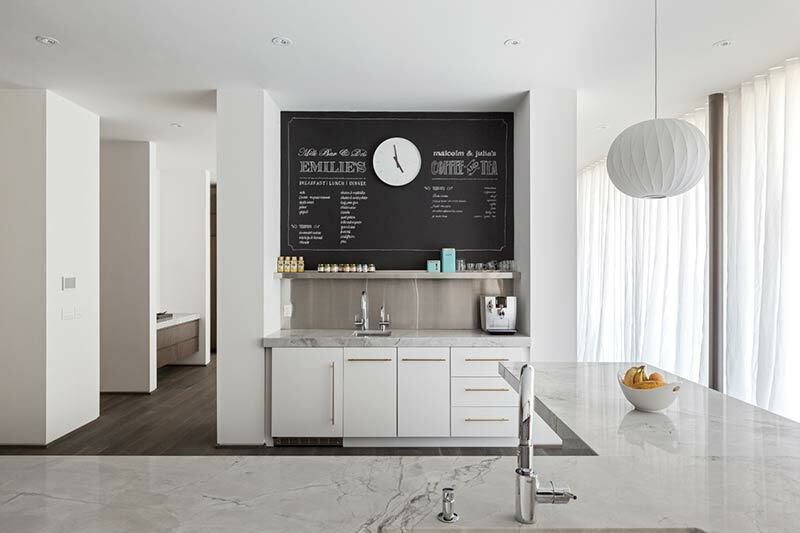 Inside, the concept is continued by dark flooring set against white walls and light marble counters, and by the central nave and foyer which divide the home into four sections: one for the garage and storage, one for the guest suite, one for the owners' home offices and spare bedrooms, and one for the master bedroom, kitchen, and main living areas.